Hannah Litvan couldn't find a job in a gallery. So she opened her own. When 25-year-old Hannah Litvan graduated from Albion College in Michigan with a degree in art and moved back to her Chicago hometown with dreams of working in a gallery, she had a hard time finding an entry point into the local art scene. Instead of giving up, Litvan made room for herself by creating Ice House Gallery, a multifaceted art space intended to support both emerging and established local artists. 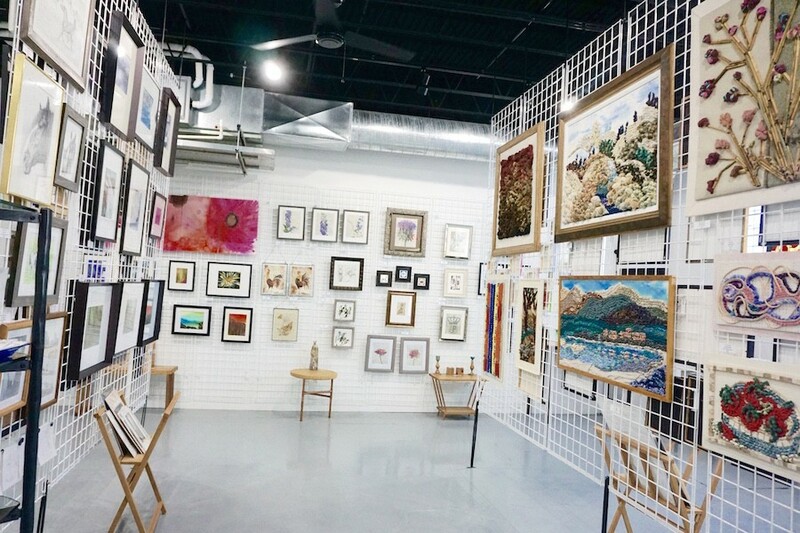 The gallery, located a block away from the South Boulevard Purple Line stop in Evanston, is housed in an unassuming brick building that in the 1950s served as an ice storage facility. The inside of the space is similarly unpretentious, furnished with movable partitions made of latticed metal, the walls painted industrial blues and whites. The simplicity highlights the gallery’s otherwise maximalist aesthetic: colorful canvasses and photographs cover every surface. Litvan speaks in sentence fragments and tangents, punctuated with excited hand movements—it’s clear she’s passionate about what she does. She points out the gallery's most recent addition, wooden racks used to exhibit prints, and explains that the gallery itself constantly evolving to serve the needs of the artists being featured. Nine months after its initial opening, Ice House has already surpassed Litvan’s ambitious initial vision of a gallery space that offers workshops and studio space, and now hosts poetry slams, book signings, concerts, storytelling events, and movie premieres. Litvan is trying to figure out what this growth means for the gallery. "Right now I think we're figuring out, it’s starting to click with what’s working," says Litvan, "now I don’t want to change, I just want to be more of what we are." What really struck me about Ice House Gallery is this clear sense of identity—though the space itself is in flux, Litvan’s commitment to supporting local, emerging artists remains the gallery’s cornerstone. Inspired by her own difficulties as a young artist trying to break into an already established scene, Litvan above all wants Ice House Gallery to be a space where all artists can exhibit and sell work. She offers help coordinating framing and pricing work, especially for those who have never showed their work in a formal setting before. The gallery’s upcoming show, "Redefining Tradition," opens August 4 and focuses on nature, nudes, and landscape imagery. This will be Ice House Gallery’s largest show yet, featuring 32 artists, all from the Evanston area. The show’s title is also applicable to Ice House Gallery itself. There isn’t another space in Evanston like Ice House Gallery, and as it continues to grow and support emerging artists, it's redefining the local arts community—altering the exclusivity of the art world from the inside out. "Redefining Traditions: Natures, Nudes and Landscape." 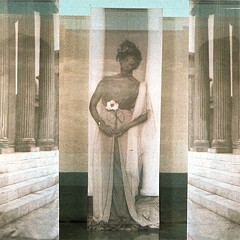 Opening 8/4, 5-9 PM, Ice House Gallery, 609 South Blvd., Evanston, 847-232-7092, icehousegalleryevanston.com, free. David Wojnarowicz, scourge of Reagan and Bush, is honored at Block Museum and Iceberg Projects gallery. Courtesy Of Hank Willis Thomas And Jack Shainman Gallery, New York. The artist’s Ritual and Revolution places her in politically charged moments in time.